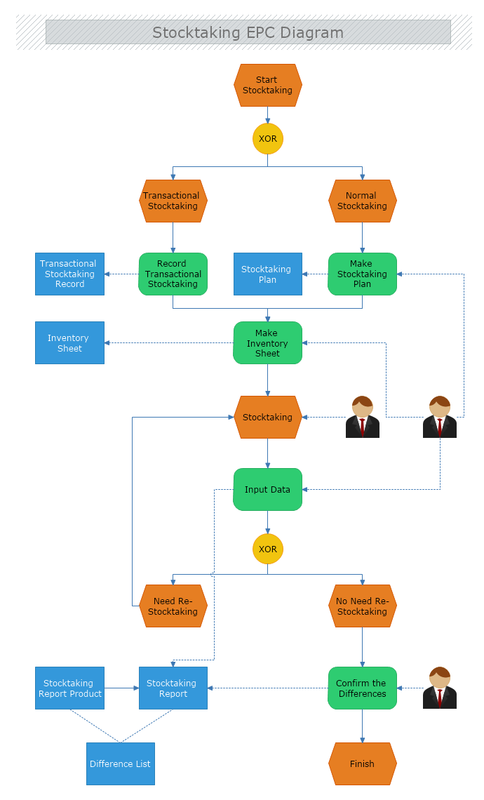 This is a stocktaking EPC diagram, describing the steps to be taken when stock needs to be added. The template includes deciding if a stocktaking is to be transactional or normal, the creation of an inventory sheet, the input of data in the company's system, and the decision if re-stocktaking is needed or not. Download this template and edit it to match your requirements.